Uninterrupted ocean views, crystal clear waters, soft white sandy beaches with blue skies and sunshine. 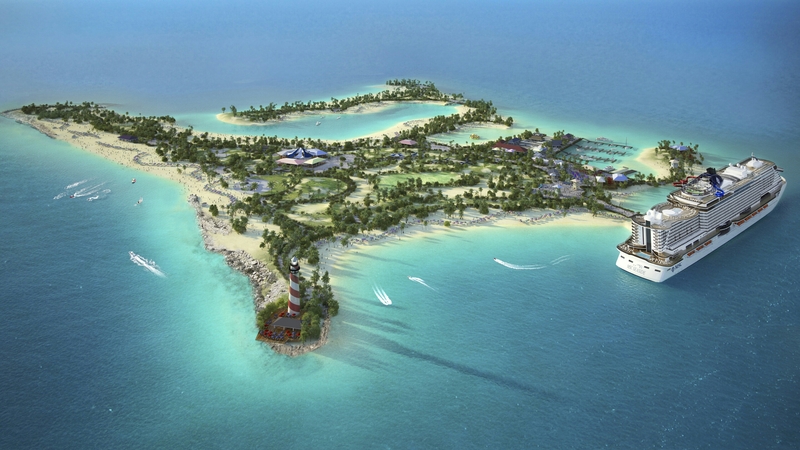 From 9 November onwards this dream of paradise will become a reality for MSC Cruises guests when they visit Ocean Cay MSC Marine Reserve. Imagine a tranquil morning spent relaxing in a cabana on the beach followed by a snorkel tour to discover the coral taking in the colourful fish and abundant marine life. Spend your afternoon taking part in beach activities or shopping for souvenirs, and as the sun starts to set you move to one of the beach bars to sip on a cocktail taking in the stunning sea views and an atmosphere of peaceful tranquillity. Finally, to finish the evening, a movie under the stars before returning to the comfort of your ship. Simply magical and to good to be true? Not at all. Starting November 9, 2019 MSC Cruises is inviting guests to enjoy a one-of-a-kind island experience on Ocean Cay Marine Reserve. 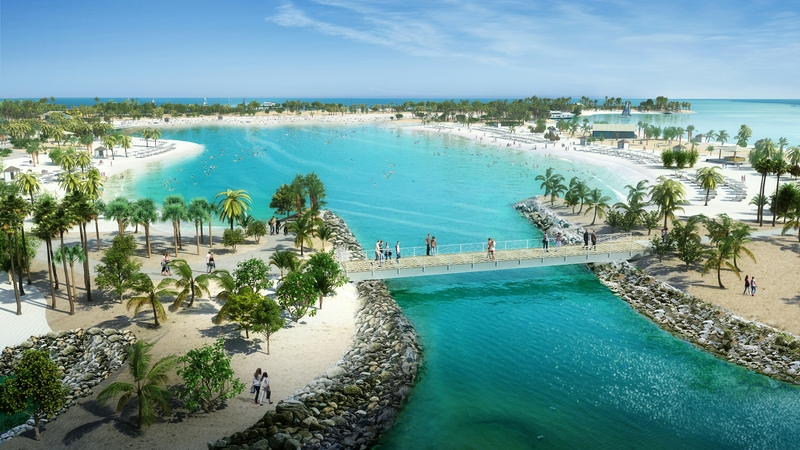 With Ocean Cay MSC Marine Reserve, MSC Cruises is transforming a former industrial sand extraction site into a flourishing marine reserve and private island destination that will exist in harmony with the local ecosystem. Ocean Cay has been designed to immerse guests in the natural beauty of their surroundings. The vision is to create a sustainable destination with activities that allow guests to connect with nature as well as providing opportunities to learn about the protection of the oceans and the importance of preserving coral reefs through dedicated edutainment programmes. With over two miles of beautiful white sandy beach shore formed from the world’s best aragonite sand, guests will be spoilt for choice with seven distinct beach areas, each with their own allure and character so that guests can either switch off from it all with warm sand between their toes and the sound of the ocean or for those looking for something more active there will be beach games and water sports. Sun beds will be available on all beaches and some beaches will offer cabanas that can be rented for the day. 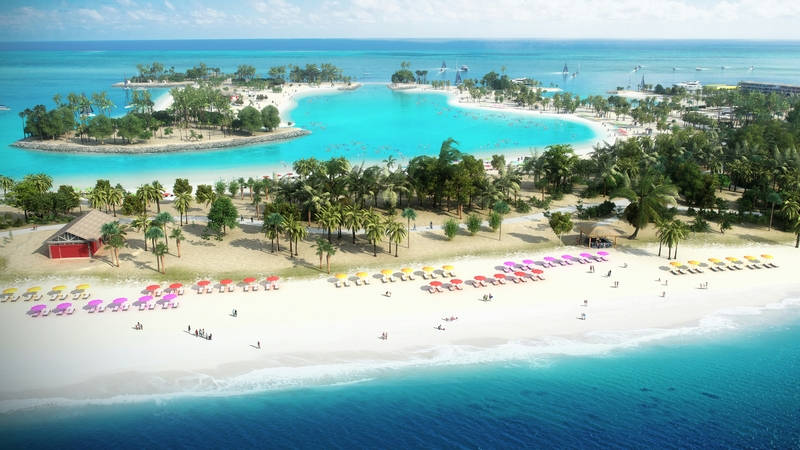 The Great Lagoon’s shallow crystal-clear water will be perfect for protected swimming and water sports, whilst the smaller family lagoon is designed for the enjoyment of the younger guests, with very shallow, calm water and plenty of games. At over half a mile long, the Great Bimini Beach is the largest stretch of beach on the island, as well as the place to go to enjoy a variety of water sports. The Ocean Cay excursions will allow visitors to explore, discover, relax and enjoy nature’s beauty at it’s very best. Discover the waters around the island through snorkel safaris, kayak tours and paddle boarding. The Family Explorer club will also offer fun activities for all the family. For those looking for a really special experience, Ocean Cay guests are able to rent privately for the day a smaller island close to the main body of land and this will include: a private boat that will take the group to the island and remain at their disposal; and a marquee, sun beds and loungers and food and drinks. Near the island is an old shipwreck, making it a wonderful spot for snorkeling. In addition to the excursions, a wide range of entertainment activities will take place from sports games and tournaments, dance lessons as well activities for all of the family. One of the key highlights of Ocean Cay is that the ship will remain into the evening owing to its convenient location just 65 miles south of Miami, allowing for a whole range of incredible evening experiences. Once the sun goes down guests can enjoy night time tours, stargazing on the beach or romantic sunset catamaran tours to bring the day to a very special close. The entertainment on the island will focus around the iconic Lighthouse with breathtaking sunsets and with live music or DJs and a surprising visual experience that will further enhance the atmosphere. As part of the commitment to ensure that the island is sustainable and to minimise waste, there is a select number of dining options on Ocean Cay. The ship will be fully operational whilst docked at the island and the furthest point from the ship is only a 20-minute walk or there is an electric cart service that will transport guests around the island. Buffet: Conveniently located near the family lagoon, this is place for freshly prepared meals from a variety of international culinary traditions, including American classics and authentic Bahamian flavours as well as some kids’ favourites. Food carts: If you don’t feel like a sit-down meal, food carts with casual street food will be available; including a taco truck, conch fitter truck, and more. The trucks will be stationary during the day around the beaches and will move to the Marina area at night creating an atmospheric food festival-style feel. These services will be offered at an additional cost with upgrades available to the beverage package. As the ship is easily accessible with guests being able to walk on and off at their leisure, guests will also be able to freely dine on board at their leisure. Ice Cream Parlour and Coffee Bar: Located in the Marina, this venue offers different kinds of ice cream, from classics to more innovative flavours. The coffee bar offers freshly brewed whole bean and ground coffee, espresso and cappuccino for an energetic start to your day on Ocean Cay or a quick boost later on. 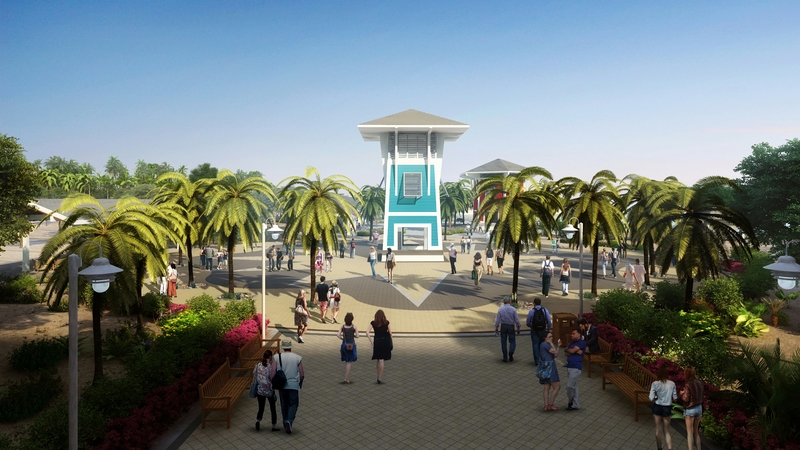 A key part of the island experience is a specially designed retail concept which has been designed to reflect the overall vision of the island with four distinct shopping areas and offer guests the opportunity to take home unique and special souvenirs or to find holiday essentials that they may need. The Bahamian Shop & Market offering authentic arts and crafts by local artisans and Bahamian companies to present perfectly complement the spirit of the Bahamas. Meanwhile the Ocean Cay Trading Post offers a wide selection of exclusive Ocean Cay souvenirs and gifts inspired by nature with gifts for adults and children, ranging from T-shirts, caps, beach items, towels and accessories. Guests will be able to purchase essentials for the day for all the family from the MSC Shop with a range of MSC Cruises branded products such as hats, flip flops, towels, beach bags, sun creams, lip balms. You will also find a number of exclusive partnership products highlighting the marine sustainable values of the island. Finally guests can collect pre-ordered essential items at the Welcome Centre including Ocean Cay survival kits and other essentials and at the same time gather top tips for a day on Ocean Cay. For those guests looking to relax and rejuvenate on the island, there will be services provided by the award-winning MSC Aura SPA with a selection of relaxing body and facial treatments. All the beauty products used on the island are bio-degradable and eco-friendly. Some of the specially designed treatments include the Ocean Cay Breeze Boost massage that includes the use of aromatic spray waters with soothing and refreshing properties, mainly aimed at the legs, feet and back – the parts of the body normally more exposed to sun. The Ocean Cay Breeze Facial offers the soothing properties of a calming mask and refreshing spray waters, providing relief for the delicate skin on the face exposed to the sun. Ocean Cay MSC Marine Reserve will bring something new and unique to MSC Cruises’ Caribbean sailings from Miami and Havana and is set to become a truly memorable highlight starting November 9th 2019. For bookings visit MSC Cruises.